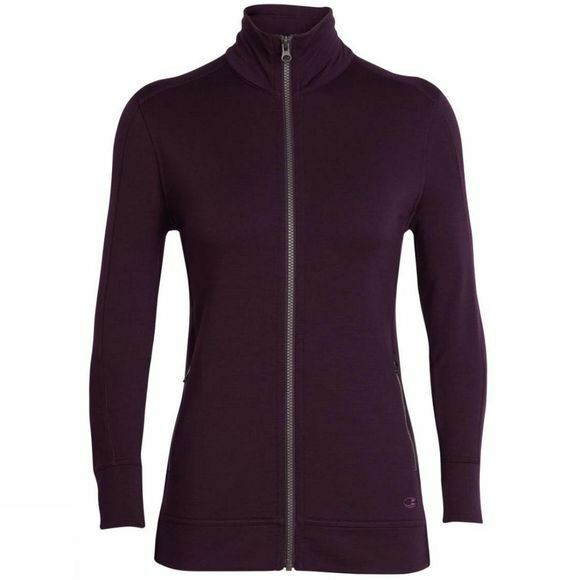 A comfy and reliable full-zip sweatshirt that’s perfect for cool days and chilly nights, the Women’s Dia Long Sleeve Zip Hood features our 200gm merino wool RealFLEECE® fabric in a classic hoody silhouette. The Dia’s cozy brushed terry RealFLEECE® features corespun material, which uses nylon fibers wrapped in merino wool for added strength and durability that retains next-to-skin softness. Seamless shoulders provide chafe-free comfort, and exterior detailing on the Dia’s flatlock seams add a touch of unique style. Roomy front pockets allow easy access to trail maps, city maps, and other travel essentials. .